ATLANTA (WXIA) -- A 19-year-old man was charged with vehicular homicide after he struck and killed a 77-year-old woman in a parking lot at an Applebee's restaurant in southwest Atlanta Thursday afternoon. Jerrell Acklin had his first court appearance Friday at 9 a.m. He was charged with second-degree vehicular homicide and giving a false name, and will be in court again on Apr. 23. 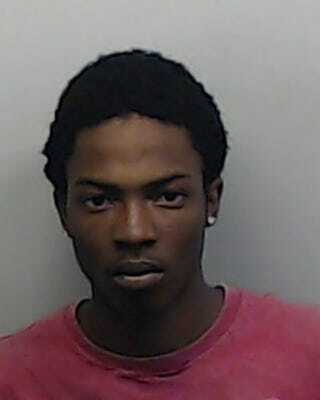 Acklin is accused of hitting Mable Benning outside the restaurant at 3690 Cascade Road, near Interstate 285. ATLANTA – Authorities say a teenager was shot in the torso at Perkerson Elementary in southwest Atlanta on Sunday. According to police, the shooting happened on Brewer Blvd. around 2:30 p.m. Police say the 17-year-old victim told police that he was playing basketball on the school's court when three unknown men walked up to him with their faces covered. One of the men asked him, "What did you say about YSL?" That's an apparent reference to a gang. When the victim replied, "I didn't say anything," one of the suspects pulled out a pistol and fired. The victim was struck in the torso. He was transported to Grady Memorial Hospital with a non-life-threatening injury. When canvassing the scene, police found a .380 caliber shell casing. Gang investigators were notified. Police are still searching for the three suspects. ATLANTA – Four vehicles stolen from Atlanta restaurants have been recovered. Police arrested 17-year-old Maricius D. Palmer and a juvenile in connection with the stolen vehicles. They are charged with theft by taking. Saturday evening, a white Mercedes and a blue Audi were stolen from the valet lot of the Horseradish Grill in Buckhead. ATLANTA – Police say a man was shot in the back at a southwest Atlanta apartment complex on Sunday. The incident happened at an apartment complex on Alison Court. Police said a woman was attacked by her child's father's new girlfriend. The woman's brother was shot in the buttocks while defending her, police said. The man was awake when officers arrived and taken to Grady Hospital to be treated. No arrests had been made as of Sunday night. 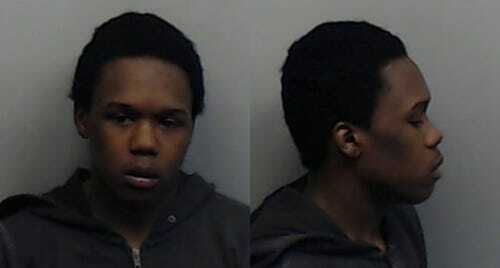 ATLANTA -- Two teenage suspects were arrested after a carjacking and police chase in Atlanta Thursday morning. The carjacking occurred on Fitzgerald Street in northeast Atlanta. Police later spotted the stolen car near Turner Field and initiated a chase. Atlanta Police said they caught up to the car at the Park Commons Apartments in the 150 block of Peyton Place in southwest Atlanta. Four suspects tried to run; two were captured. Both were charged with auto theft, and fleeing and attempting to elude police. Because they are minors, their names have not been released. Investigators said a third suspect was tased by police and also suffered a laceration to the head. He was taken to Grady Memorial Hospital for treatment. Police are now searching for the fourth suspect. ATLANTA -- Atlanta Police are searching for the men accused of sexually assaulting a teenager at a party. The crime happened Jan. 20 at a house in northwest Atlanta. Police said three men attacked the 15-year-old victim as she celebrated her birthday. A sketch artist created composites of the suspects. One is a black man with dreadlocks who is known only as Jamie. Investigators believe Jamie is about 16 years old. Another suspect, who is known as Reckless, is about 17 years old and has a tattoo on the right side of his neck. The third suspect is a bald black man with the number 20 tattooed on the left side of his neck. The suspects are known to frequent southwest Atlanta's Pittsburgh neighborhood. Anyone with information in this case is asked to call Atlanta Police at 404-546-5605 or Crime Stoppers Greater Atlanta at 404-577-TIPS. Tipsters may be eligible for a reward of up to $2,000.